In 1997, Stanley B. Prusiner received a Nobel Prize, the world's most prestigious award for achievement in physiology or medicine. That he was the sole recipient of the award for the year was entirely appropriate. His struggle to identify the agent responsible for ravaging the brains of animals suffering from scrapie and mad cow disease, and of humans with Creutzfeldt-Jakob disease, had been waged largely alone and in some cases in the face of strenuous disagreement. 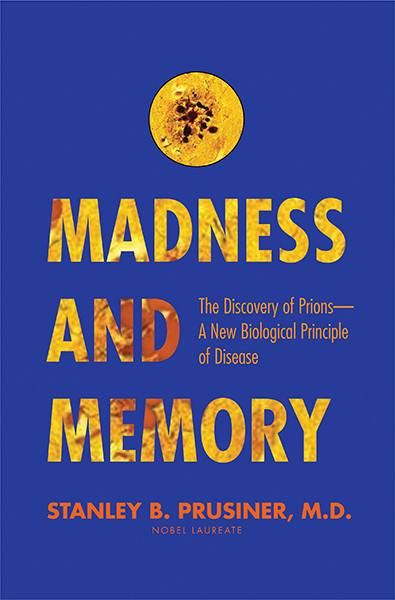 In this book, Prusiner tells the remarkable story of his discovery of prions—infectious proteins that replicate and cause disease but surprisingly contain no genetic material—and reveals how superb and meticulous science is actually practiced with talented teams of researchers who persevere. He recounts the frustrations and rewards of years of research and offers fascinating portraits of his peers as they raced to discover the causes of fatal brain diseases. Prusiner’s hypothesis, once considered heresy, now stands as accepted science and the basis for developing diagnoses and eventual cures. He closes with a meditation on the legacy of his discovery: What will it take to cure Alzheimer’s, Parkinson’s, Lou Gehrig’s and other devastating diseases of the brain? Stanley B. Prusiner, M.D., is director of the Institute for Neurodegenerative Diseases and professor of neurology at the University of California, San Francisco. The recipient of an array of scientific honors, he was awarded the Nobel Prize in Physiology or Medicine in 1997. He lives in San Francisco.